#164. 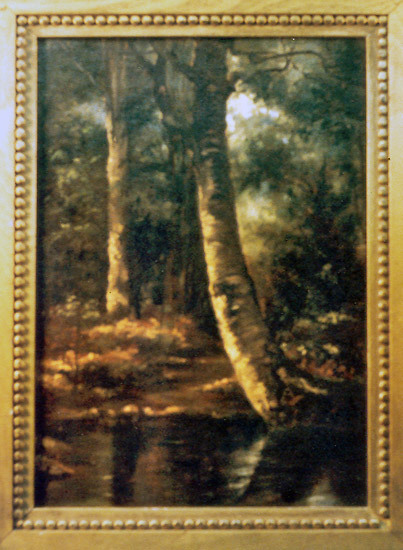 Oil on canvas showing birch trees by a stream. Unsigned, circa 1900. Framed size is 13 1/2 x 17 1/2 inches. Unframed size is 10 x 14 inches.